On its list of the best restaurants in Puerto Escondido, the LA Times recently wrote, "Pretty much everything is amazing" — a statement that truly confounds the mind. Puerto Escondido is a tropical beach destination, and almost all of its restaurants along the beach are geared toward tourists: Italian pizzas and pastas, American breakfasts and burgers, Middle Eastern wraps, Thai curries. There's even a telling joke on Puerto Escondido's main beach, Zicatela: You can find any type of food you'd like, as long as it isn't Mexican. If you want traditional Mexican food, you have to go hunting. 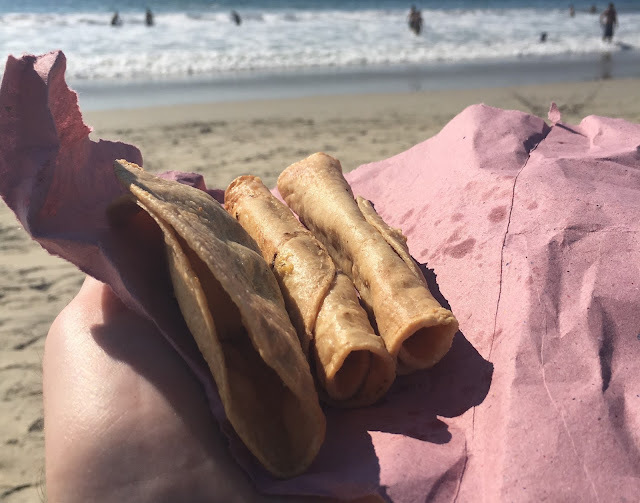 I don't stand in lines, which is why I would never eat at El Cafecito, but there's a trick: The surfer-beloved cafe has a takeout window serving excellent espresso drinks to sip on the beach, right across the street. 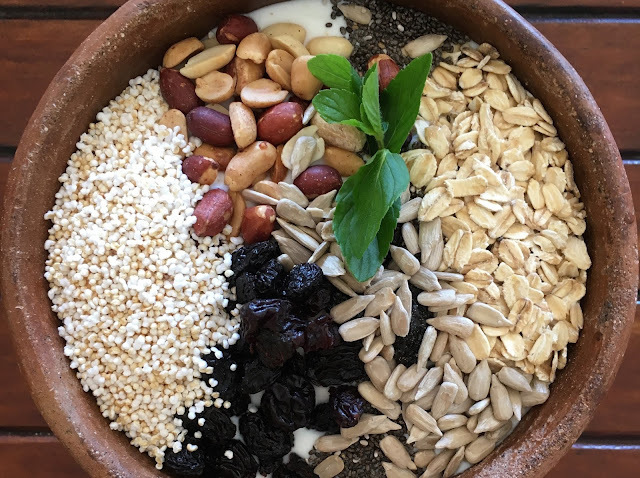 This is a hip option at anytime of day, with second-story bar seating overlooking Calle El Morro and the beach, but I really love its breakfast: great espresso drinks, creative fruit juices blended to order, and humungous healthy breakfast bowls loaded with tropical fruits, nuts, and seeds. You'll find people peddling deep-fried tacos stuffed with your choice of meats, fish, potatoes, or chile rellenos. They're a tasty, cheap snack or light meal. Make sure you get yours loaded with cheese and spicy salsa. 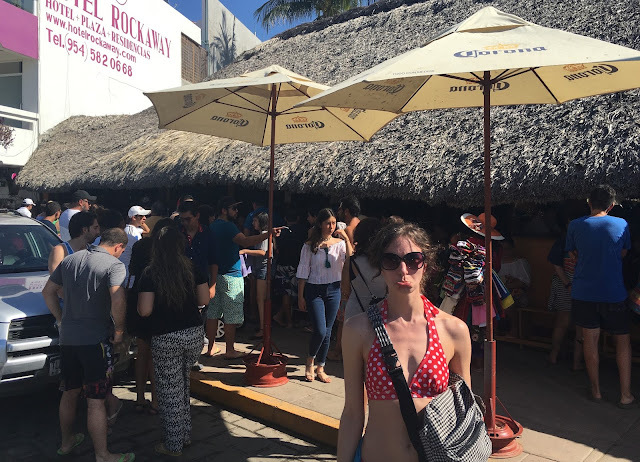 Located in the swank Hotel Santa Fe, this is probably the best option for a nice meal of Mexican plates on Zicatela Beach. You'll feel like royalty in the open-air dining room among columns and beneath a thatched roof, with views of the beach. 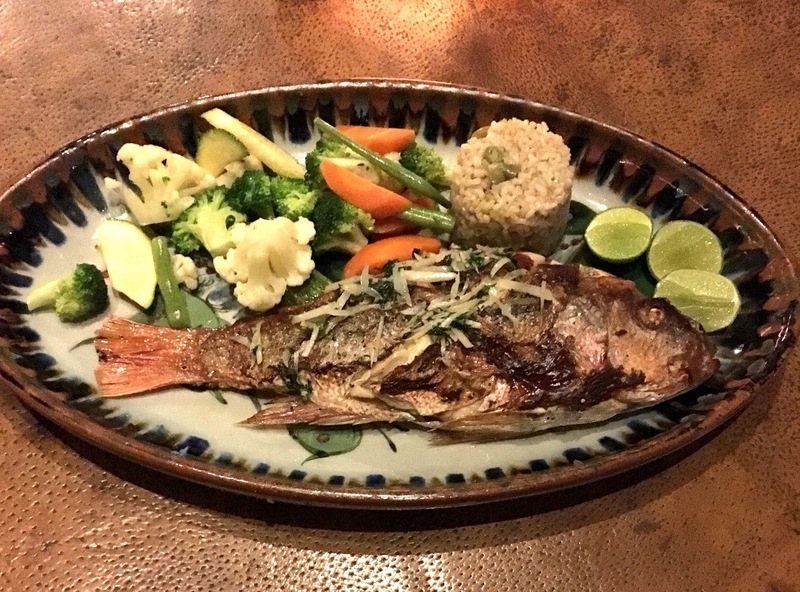 Go for the margaritas, the gazpacho and Aztec soups, the chili rellenos, coconut shrimp, and whole roasted fish. 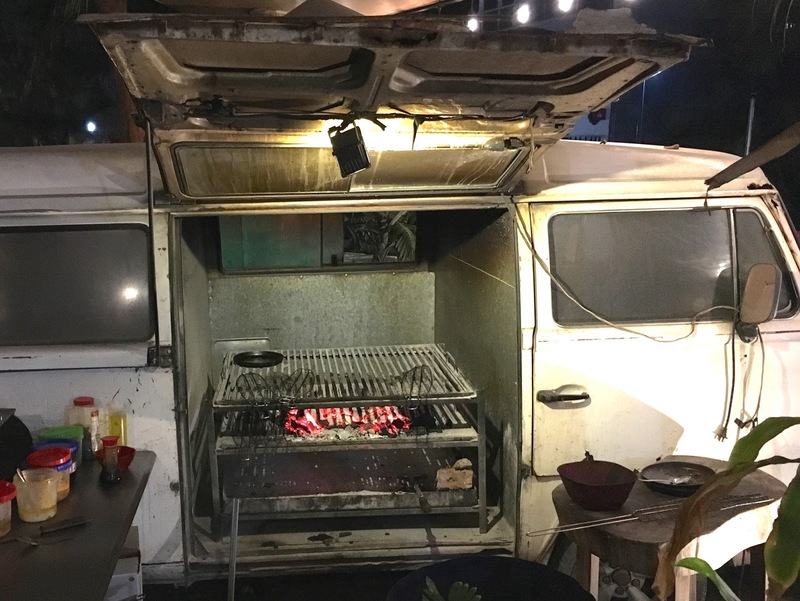 Serving seafood prepared on a grill inside of a Volkswagen bus, this place vies with Santa Fe Restaurant for the best seafood in Puerto Escondido. Order whole fish by the kilo, and don't skip the ceviche. 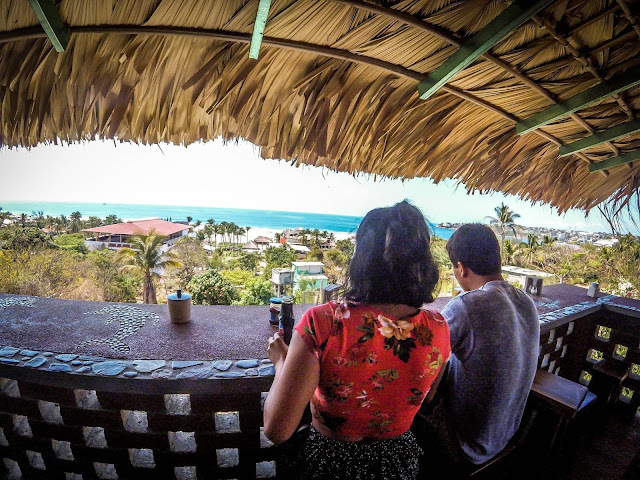 This is the only spot near Zicatela Beach I found serving Mexican plates without tourist prices, and that's because it's located at the top of a stairway off of the beach. The family-run spot has a killer view. Go for the nachos with chicken and the garlic shrimp (camarones al ajillo). 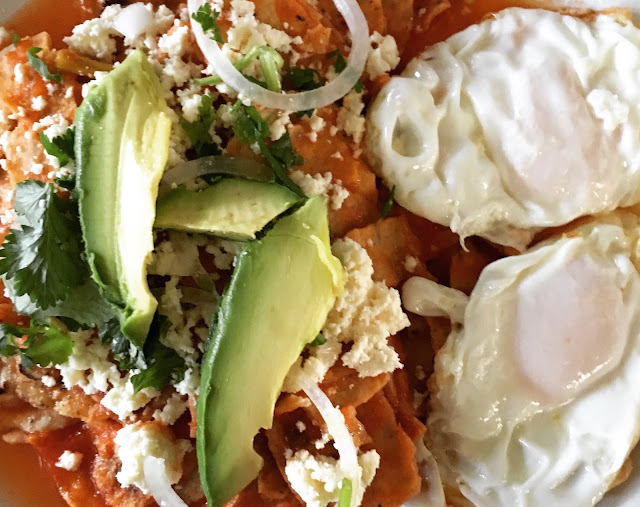 The Mercado is full of family-operated food stalls serving chilaquiles, moles, tacos, and more at normal Mexican prices. Personally, I loved Los Tres Girasoles for its chilaquiles rojo. And the Mercado is a sight unto itself, so plan to explore the vibrant marketplace as well as grab an excellent lunch. You'll have to catch a bus or taxi. Find a killer restaurant not listed above? Share it in the comments!